Fiction | Sylvia Spotlights: Writing, Women, and the Big "What-ifs"
Sylvia Spotlights: Writing, Women, and the Big "What-ifs"
That’s a loaded question since I write non-fiction, fiction and articles—and teach. For fiction I’m working on “the book of my heart.” Finally. It’s been simmering and shifting voice and point of view and being pushed to the back burner for seven years now. It’s about a breast cancer survivor who has lost her mojo and believes the only way she can get it back is by reviving her high school rock band—much to the surprise of her husband, kids, and best friends/band members. This year I have an agent who is so ready to take it out into the world, that I finally have a deadline. Maybe that’s what was missing all along. As a journalist I thrive on deadlines. I’m also self-publishing my old romance titles that I received the rights back on. 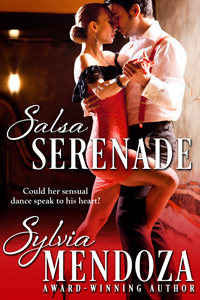 The first, Salsa Serenade, is out now. Non-fiction–biographies of 150 remarkable Latinas. 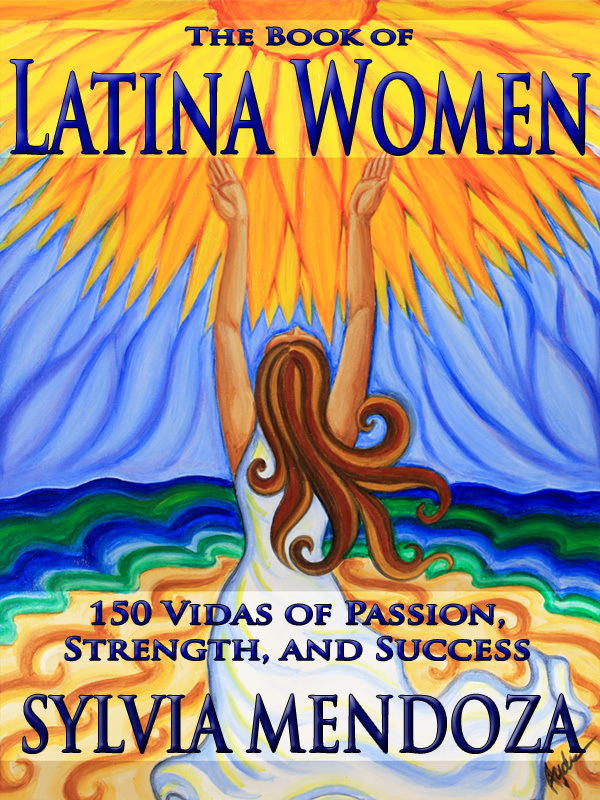 For non-fiction, I still work with my The Book of Latina Women: 150 Vidas of Passion, Strength and Success. The 2013 re-release is currently a finalist in the International Latino Book Awards; winners will be announced on June 28 at a banquet in Las Vegas. Receiving that call from Kirk Whisler of Latino Literacy Now was my version of what the Academy Awards must be like. I was speechless and teary and overcome. The women featured in the book are amazing and even today I get goosebumps when I speak about them. My agent and I are talking about breaking down the book into a series for middle grade readers and highlighting much-needed Latina role models from various career fields. For journalism, my favorite magazine to write for is Hispanic Outlook in Higher Education. I cover amazing educators, advances in the education field, overcoming stereotypes and visionary perspectives. Next up is a piece on the incredible community outreach work being done by students of the MFA program at Cal State San Bernardino headed by Dr. Juan Delgado, a poet himself. How does my work differ from that of others of its genre? Good question. In all my work—fiction, non-fiction, articles—I find myself writing about inspiring people/characters I’d want to hang around with at a dinner table. I write about strong, intelligent, selfless women, Latinos and Latinas who blaze trails and surpass the bar. I write about people who have integrity and values and follow their passion despite the risks; those who have time for others and learn as much as they teach. Those who question the norm and break stereotypes. Those who speak for the underdog. Their stories mesmerize and need to be told. Because I believe every person has a story to tell—and that includes the characters that live in my head for my novels. I’m intrigued by people and their journeys, their obstacles and their vision. I’m often in awe of how they can somehow pull from that inner core—even on the darkest of days—strength, desire, perseverance and passion to change direction and make things happen. I teach media studies and journalism at a community college. The days I don’t, I get up by 5:00 to start writing on my fiction. For some reason, my brain is in its more creative juices. On those days I pick up where I left off. Almost always I work on my desktop computer, though I carry a notebook to jot down ideas, or else I forget. I’m going to try to use my laptop this summer for more portability. I take an exercise break—usually a spin class or brisk walk—around 9:30 to get the blood flowing and give my brain a rest. Then right back to it. 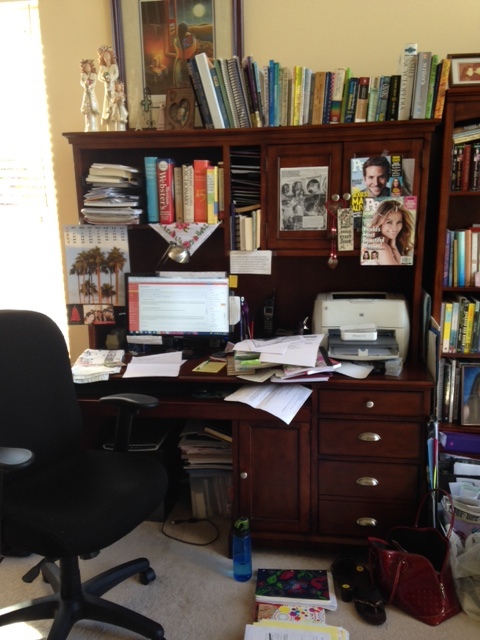 In the afternoons, between lesson plans and grading papers, I work on articles, non-fiction, or editing. That could mean research. Interviews. Outlines. Transcribing notes. First draft. Second draft. Third draft. Sometimes more, especially for articles. At night I’m usually fried, so I watch TV and enjoy it, dissecting well-written shows. Deadlines trump all routines, however. When I worked on The Book of Latina Women, two weeks before deadline, I was probably at my desk 15-18 hours a day. And then there’s life. Curve balls are thrown at us all the time and I deal with those as they come. More importantly, I like spending time with my kids, family and friends and practice escapism in different forms like salsa dance lessons, hiking, reading, traveling, eating, movies and concerts. I convince myself they’ll bring a depth to my writing, one way or another. I figure how can I write about life if I’m not experiencing it? Now it’s time to pass the baton. Two of my friends are up next on this blog tour and will post their routines on May 5. 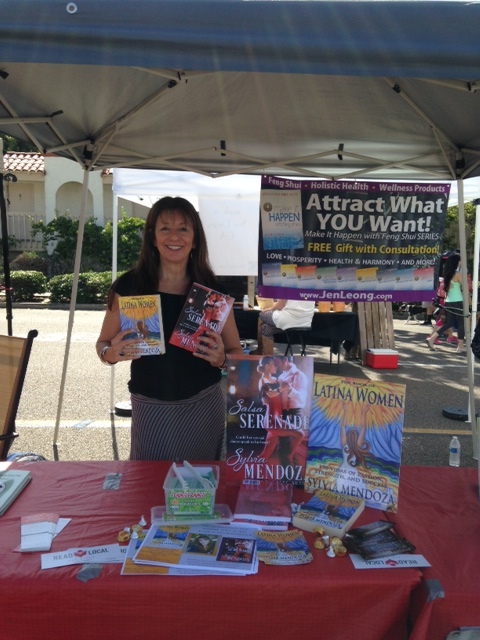 Encinitas Street Fair–Connecting Readers to Local Authors! 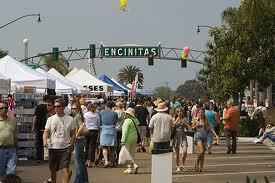 The ENCINITAS STREET FAIR is this coming weekend, April 26-27! It’s so much fun and a great way to spend a beautiful Sunday in San Diego. If you’re in the area, please visit the READ LOCAL San Diego booth on Sunday from 1:30-4:00. I’ll be joining other authors as we sign and talk books. The opportunity to meet and mingle with other local authors of all genres, meet readers and share our writing process sounds like a perfect kind of weekend. To have it in quaint yet eclectic Old Encinitas on Highway 101–one of my favorite communities in San Diego–is the proverbial icing on the cake. I just like the fact that we see the power of the written word come alive in a variety of genres; there’s something for every reader. Much like a bouquet of wildflowers, we will each offer the unique beauty of our individual books as part of a bigger collection of art. Hope to see you Sunday!! !